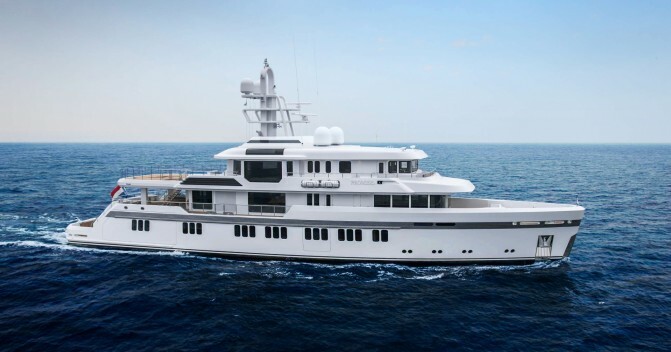 Dynamiq announced the sale of a new 41m Gran Turismo Transatlantic superyacht (GTT 135). 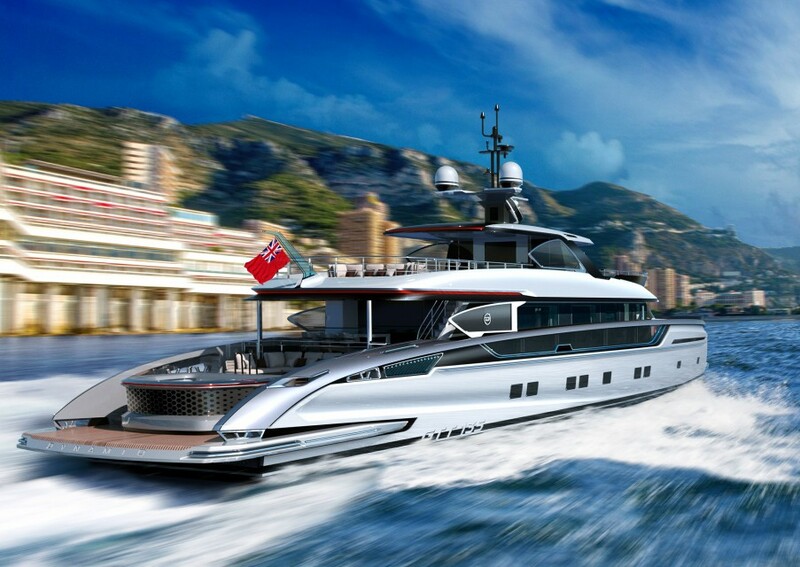 Characterised by the aggressive exterior styling that has come to characterise the brand, the all-new model will be built in aluminium, Sealium and carbon fibre based on a Fast Displacement Hull Form by Van Oossanen Naval Architects. 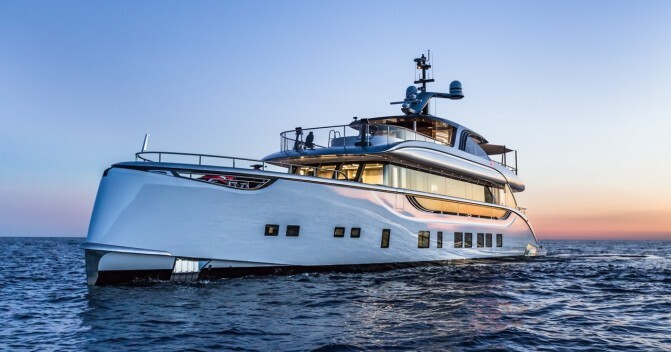 Designed with hydrodynamic excellence in mind, close attention has been paid to obtaining optimal weight distribution and a low centre of gravity. A Hull Vane will provide a 20% reduction in vertical accelerations (pitching) and reduce resistance by as much as 30%. Together with a super-efficient Voith Linear Jet propulsion package, these technical features will enable the GTT 135 to comfortable cruise at a top speed of 20+ knots in displacement mode and have a Transat range of more than 3,000 nm at 12 knots. 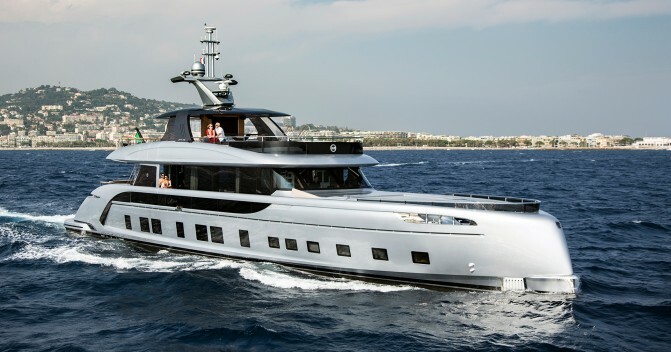 The GTT 135 comes with a huge sundeck of 120 sqm and features both a pool on the main deck aft and a Jacuzzi on the sundeck. 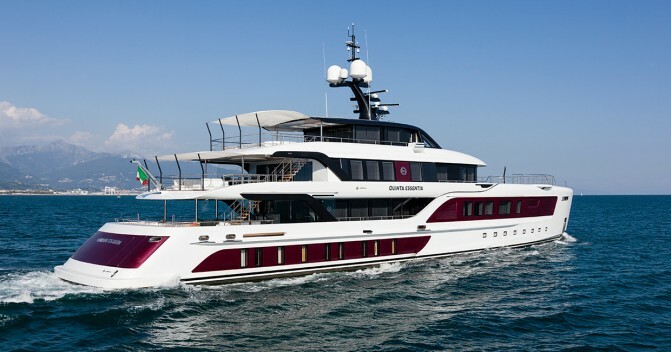 Accommodation is for 10 guests in five spacious cabins, including a full-beam owner’s stateroom on the lower deck for exceptional motion comfort.